Clap to light switch with timer project is very useful project for power saving applications. The project switches on the LED light for 45 to 60 seconds when receives two clap sound. This project can be used in store room, toilets, dark area where switch is not visible, night lamp, places where light on off switch is not accessible easily. 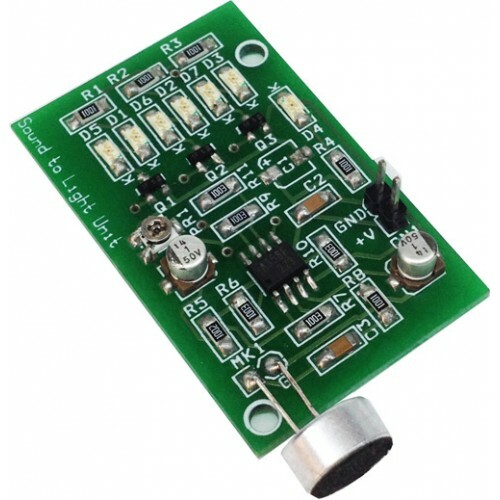 Single transistor used as microphone preamplifier, diode converts AC signal in to DC , and PIC micro-controller take care of LED On/OFF Time, LED time depends on two jumpers J1, J2 which provides four options s 45, 50, 55, 60 seconds. MJE3055 transistor used in output to drive LED, one series resistor R10 helps to control the current going through LED, R10 can be alter as per LED Voltage and current. 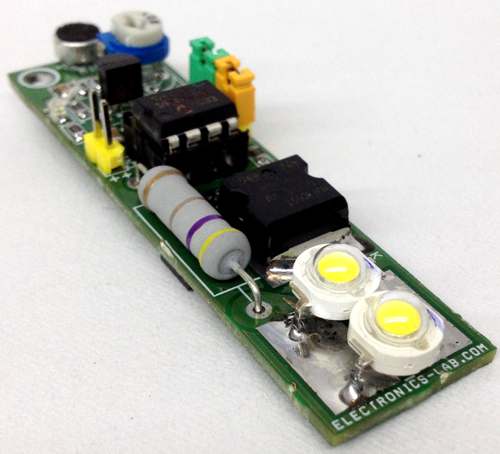 3V to 12V LED with maximum current 500mA can be used. Use higher current Darlington transistor like TIP147 for higher current Load. 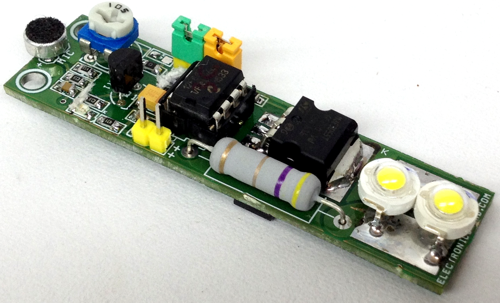 Onboard potentiometer trimmer for sound sensitivity adjust. D1 power LED. 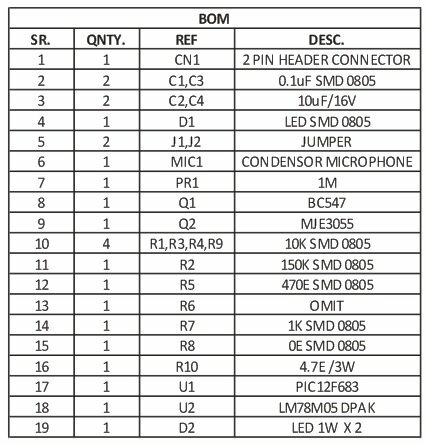 how to order for pcb? I’m Hervey working for EEWeb.com. 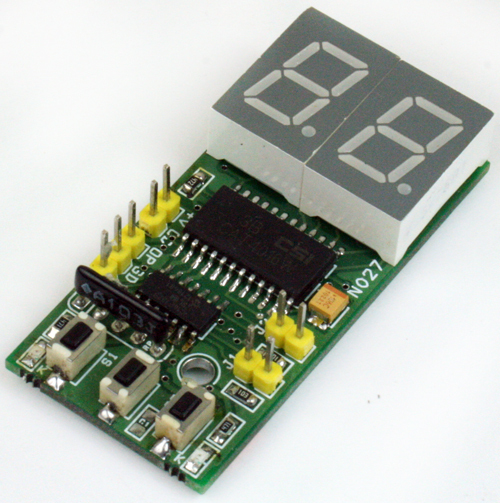 We really like your sound activated LED light with timer project, and want to cover it on EEWeb.com for our readers. EEWeb.com is an online resource community site for Electrical Engineers and I’m sure that your project will be a great addition as an entry on our webpage. Would it be okay, if we feature this project and share some ideas about the project? Hi Hervey, glad to hear you liked our project. Feel free to share it on your website and don’t forget to also share the URL with us.